The Cherokee Strip Regional Heritage Center, a property of the Oklahoma Historical Society, tells the story of the largest land run in American history. The 1893 Land Run, settlement and development of northwest Oklahoma is explored through the Heritage Center's five permanent exhibit galleries. On the grounds of the Heritage Center complex is Humphrey Heritage Village, a living history village featuring four historically significant buildings including the only remaining 1893 U.S. Land Office. Students can explore one of the Heritage Centers education programs including a tour and program on Northwest Oklahoma’s Natural Resources. This 4th-12 program utilizes living history characters, films and hands-on activities. Best suited for grades 3-12. An electric lime green ceiling, science demos, traveling exhibits, a do-it-yourself hands-on workshop, and a slide made from packing tape, and more. This is Discovery Lab, a place where kids and their families can make, play, and design things using real stuff in new and different ways. Inspired by best practices in children’s museum design, Discovery Lab features an environment where fun and education meet. 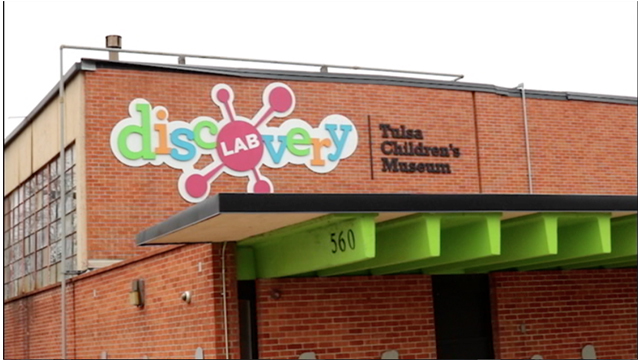 Located just northwest of downtown Tulsa, Discovery Lab offers general admission, annual membership, camps, classes, parties, and outreach for ages 2 and up. Best suited for grades K-6th. New addition for the 2018-2019 school year! Exploration Destination takes a whole-child approach to children's education and have a hands on philosophy. We believe in allowing kids to actively play with their environments leading them to learn how things work! Kids should have fun while learning new things. Educational play in a safe and fun environment is our goal! Best suited for grades K-3. OERB has made it possible for each student to be given a personal rock, mineral and fossils collection and an reading and writing exercise on their visit to the center located in downtown Tulsa at 610 S. Main. 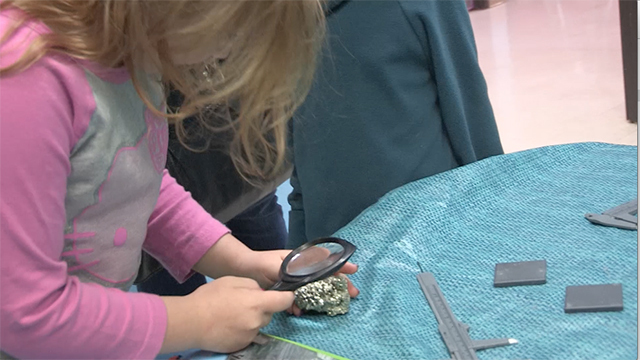 At the Geoscience Center, docents teach students about rocks, minerals, fossils, earthquakes, tsunamis, fluorescence and petroleum products with hands on experiences. Visits are by appointment only arranged through the web site or by phone. Best suited for grades 1-8. 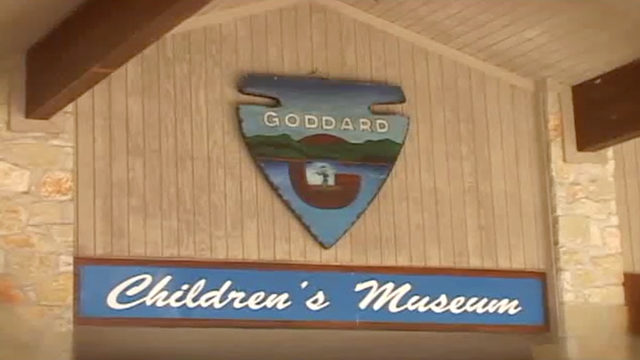 Nestled in the Arbuckle Mountains, Goddard Museum is situated by the shores of the Lake of the Arbuckles near Sulphur. 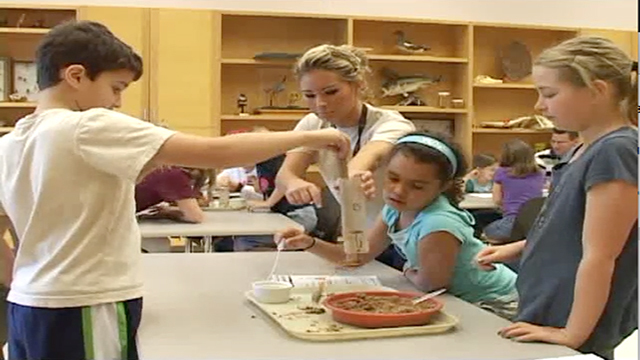 This hands-on natural history museum brings earth science to life for students. The museum boasts a fossil from Oklahoma’s dinosaur past—a 40-foot-long acrocanthasaurus. Students can discover what lies beneath the earth’s surface when they visit the Geological Wall, and a 6,000-square-foot fossil dig also is available, where students get to keep the fossils they unearth. All grade levels welcome! *Note: Museum office is closed from Thanksgiving-March 1st. The Jasmine Moran Children’s Museum contains 42,000 SF of interactive exhibits, many related to a variety of careers. Children can role play being a doctor, mechanic, artist, judge, firefighter, architect and much more. A new 2-story oil exhibit utilizes the talents and help of OERB’s Professor Leo to explain the intricacies of finding oil to the use of petroleum based products. The lower level is dedicated to what one might find underground to discover oil. The upper level includes a refinery, Christmas tree, and a working mini-pump jack. Test your knowledge of petroleum based products via a kiosk showing items of everyday use. Closed Mondays, major holidays and the first two weeks after Labor Day. Best suited for grades K-5. Visit the recently renovated and expanded Leonardo’s Children’s Museum in Enid for 7,500 square feet on hands-on science and art activities, including the two story “Power Tower,” telling the story of Oklahoma’s oil and gas industry and its important role in powering the world. Weather permitting, the field trip may also include Adventure Quest, Leonardo’s outdoor science playground. Field trips require 1 adult for every 5 students. Best suited for grades K-5. One hundred million years ago, most of Oklahoma was covered by a shallow sea called the Western Interior Seaway, it was home to prehistoric reptiles with huge teeth, crazy looking sharks and huge bony fish. This shallow ocean was also home to many invertebrates that settled in the soft mud of Oklahoma’s sea floor, producing amazing fossils. Oklahoma’s only ocean now, is the Oklahoma Aquarium! The Aquarium is 80,000 square feet of aquatic adventures, from our resident prehistoric fish still roaming Oklahoma waters, to the largest collection of bull sharks in the world. All ages are welcome to visit and explore what the Oklahoma Aquarium has to offer. Our OERB programming includes, how our ancient marine fossils went from being creatures to crude, interactive exploration for all ages and an entire ocean’s worth of other exciting information! 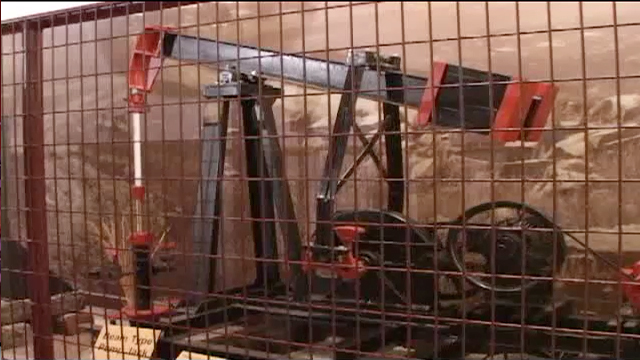 The Oklahoma Hall of Fame at the Gaylord-Pickens Museum features the history of Oklahoma’s oilmen and wildcatters while demonstrating to students the influence of energy in the development of Oklahoma. A pre-arrival lesson provides teachers with the tools to prepare their students for an interactive tour at the museum. Tours are guided and each one features the progression of Oklahoma’s energy field. The Oklahoma Hall of Fame at the Gaylord-Pickens Museum tells the history of Oklahoma through the captivating stories of Oklahomans, specifically those in energy and oil on the Energy Tour. The Oklahoma History Center is a complete learning experience where teachers and students alike can explore Oklahoma's unique history of geology, transportation, commerce, culture, aviation, heritage and more. 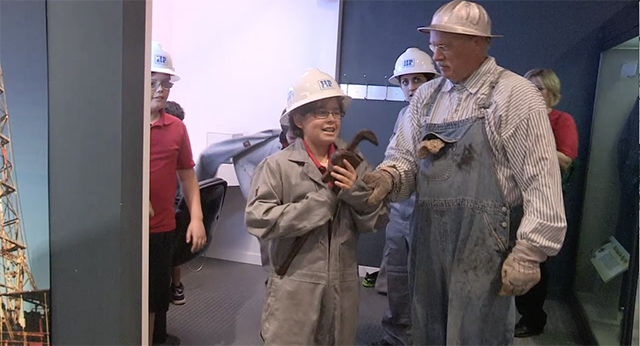 The Oklahoma History Center brings the oil field to life through indoor and outdoor exhibits and hands-on activities. The museum offers both guided tours and scavenger hunts allowing students the chance to explore in small groups. If you drop by the Devon Oil and Gas Park you will find yourself staring 100 years of Oil and Gas history in face. The park is home to four full size drilling rigs and a large variety of other equipment. Best suited for grades 3-12. 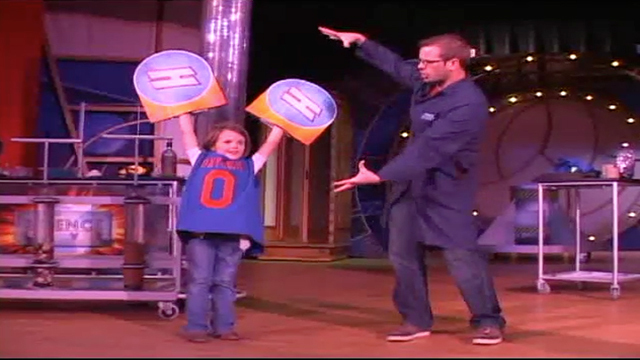 Oklahoma WONDERtorium is a museum committed to the play-to-learn model, which acknowledges the unique and powerful role play has in developing strong, agile and well-rounded brains. With 14 unique exhibit spaces and 10,000 sq ft of inquiry-based fun, the WONDERtorium is ideal for your pre-k to 4th grade classes. For your OERB field trip, the WONDERtorium becomes a place where your students can play their way through new concepts in geology, energy science and well safety with art, construction-play and dramatic-play exhibits. Best suited for grades K-4. The Oklahoma Maritime Education Center is a place for all ages to learn about the importance of the Tulsa Port of Catoosa and the McClellan-Kerr Arkansas River Navigation System. When you visit the MEC, you will learn about the history of the MKARNS and the Ports along the navigation system along with the regional and national economic benefits of the waterway. You will learn about the types of cargo shipped on the waterway including petroleum products. There is also information about the environmental benefits of the Inland Waterway System. While you are at the Oklahoma Maritime Education Center you will get to explore the Towboat M/V Charley Border. The M/V Charley Border served the port for over 27 years, and was used to switch barges in the port channel. It is permanently drydocked adjacent to the Education Center. The guided tour of the Tulsa Port of Catoosa will allow you to learn about the various companies and commodities that are represented here within our industrial park and on our navigation system. There is a great area to get out and view the towboat and barges during the guided driving tour. All grade levels welcome! The Sam Noble Museum of Natural History is located on the campus of the University of Oklahoma. The museum explores the vast natural wonders of Oklahoma with multiple exhibits spread over 50,000 square feet, including the Conoco Oil Pioneers Exhibit. The museum’s Education Department offers several OERB-approved classes including “Natural or Not” for Kindergarten students, “Raw to Refined” for Grades 1-3, “Rockin’ Rocks” for Grades 4-5 and “Geology Laboratory” for Grades 6-8. In addition, students can enjoy a visit to the Discovery Room, a hands-on area, featuring touchable objects, a dinosaur dig and live animals on view. All grade levels welcome! Science Museum Oklahoma in Oklahoma City has more than 350,000 square feet of hands-on science fun to educate, entertain and excite students of all ages. Students will experience OERB’s “Petro Power” show which will further their knowledge of the oil and natural gas industry through an interactive presentation. The OERB Petro Power show is offered weekdays at noon when scheduled in advance. Additional weekday showtimes may be scheduled if needed. In addition to the OERB class and general admission, educators have the option of selecting a Science Live or Kirkpatrick Planetarium show for their students. All grade levels welcome! SKELETONS: Museum of Osteology, located in Oklahoma City, Oklahoma, is a unique educational experience. Focusing on the form and function of the skeletal system, this 7000 square ft. museum displays hundreds of skulls and skeletons from all corners of the world. Exhibits include adaptation, locomotion, classification and diversity of the vertebrate kingdom. 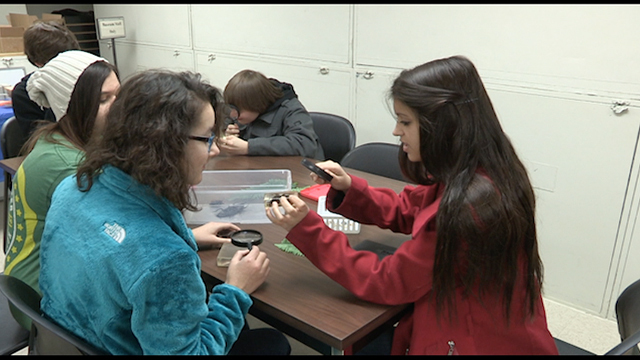 Students will participate in Microfossil Mysteries. 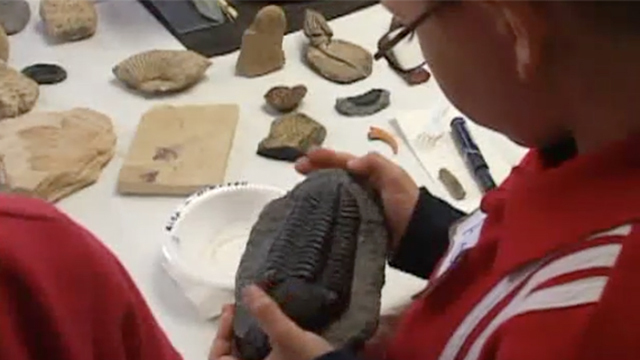 This class takes students on a journey to the past where they will examine life during the Carboniferous period. Hands-on investigation will allow students to discover how sediment accumulates over time to form rocks and trap oil. All grade levels welcome! A place where native and exotic animals graze at the roadside, where history comes to life in a world-class museum, and where Native American heritage is preserved and displayed, not to mention the home of the Oil Patch - an outdoor display that demonstrates the colorful history and rugged lifestyle of the oil industry in Oklahoma. All grade levels welcome!